Instant Pots are magical! I don’t know how I ever functioned without one in my life! I am always on the lookout for new recipes, so when I saw this freebie I jumped on it. 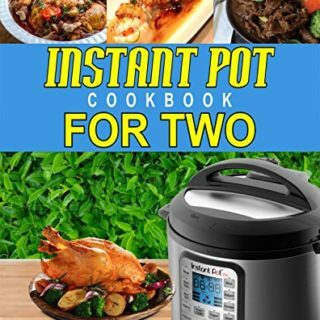 For a limited time, Amazon is offering the eBook Instant Pot Cookbook For Two: 101 Amazingly Fast, Simple & Flavorful Recipes Made For Your Instant Pot Electric Pressure Cooker for FREE. Click here to buy now and get your free copy.